If you're in London today then you'd be a fool not to get yourself down to the Underworld for the Ouch My Generatoralldayer. San Francisco's Castle headline with Groan, Egypt, Tombstones, Slabdragger, Gurt and Slab filling the rest of the line up over the day. 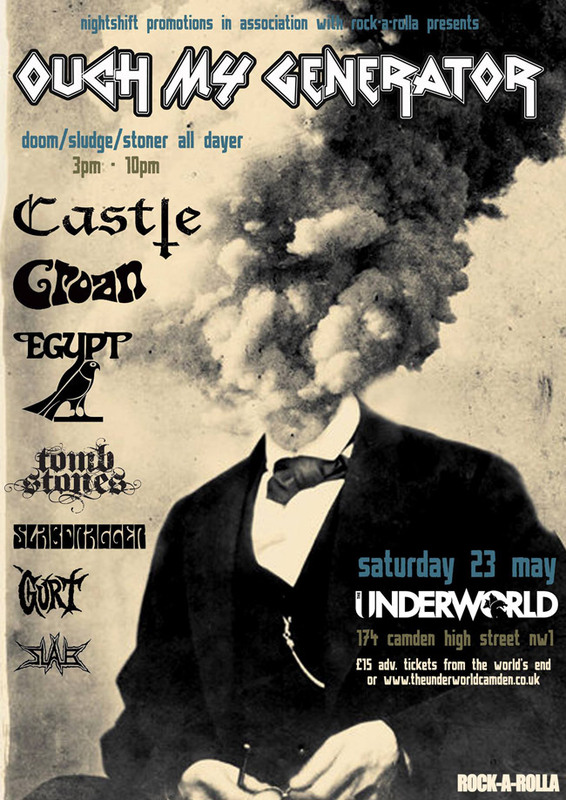 Check out the bands below - doors open at 3pm with tickets available on the door. 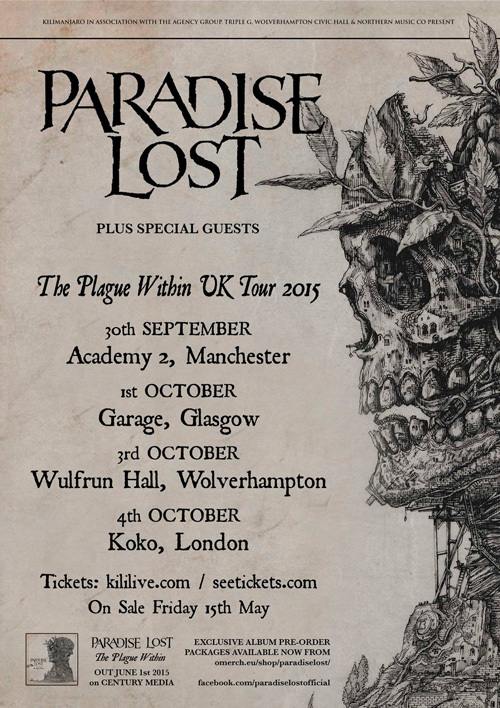 Tickets are now on sale for the Paradise Lost "The Plague Within UK Tour 2015" in support of their fourteenth album which is due out on the 1st June 2015. Hastings based thrash/death metal act Vulgate release their debut album "Waves" tomorrow on 18th May and following the album release show play a few more dates around the UK with King Leviathan. Those of you who picked up last months Terrorizer magazine will already be familiar with Vulgate as they featured on the covermount CD.